Baton Rouge rock band One Time Jupiter has released their latest effort Pop Destroyer, a seven-song release that highlights the latest talent coming out of Louisiana. Produced by Richard Maloney of the RPM 72 Recordings, the record opens with “Goodbye Halo,” a track that illustrates the bands hard hitting and high energy sound. With guitarists Brad Van Oss and Joel Clouatre wailing away at their instruments, the group sounds like a modern grunge band as their guitar parts are heavy and well defined. With tracks like “Broken,” One Time Jupiter shows their softer side with all the instruments getting their chance to shine and show off how they fit in the song. Sounding like something that would be played on the radio in the mid 90’s, the band takes us on a trip to the past when harder rock acts ruled the radio. Tracks such as “Ocean Blue” is a memorable choice to put on the album, as it is a song that you’ll be listening to repeatedly. As drummer Katt Lee keeps One Time Jupiter glued together, the group sounds like they took influence from the 1990 Pearl Jam Record Ten, introducing 90’s rock to a whole new group of listeners. 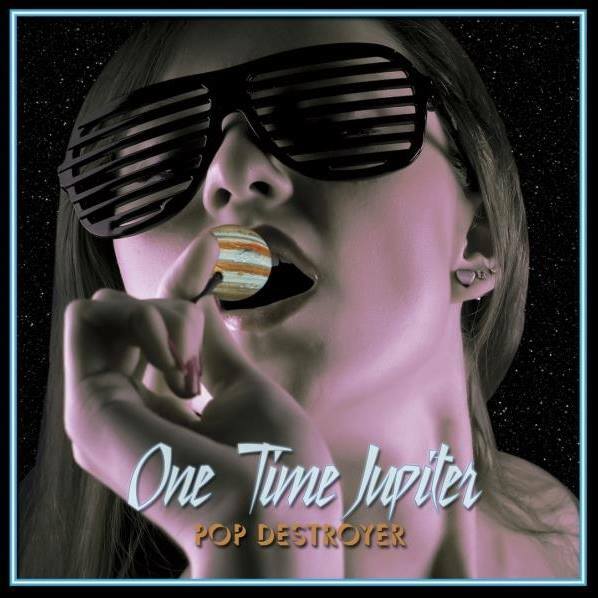 Ending Pop Destroyer with the dancey “Come Unarmed” we finally see where One Time Jupiter describes itself as a dance rock band, as the song’s funkiness makes “Come…” the best track on the record. While different genres are explored on Pop Destroyer, many of One Time Jupiter’s influences are not present, leading the audience wanting to hear more of this sound on their next body of work. Listen to “Goodbye Halo” below. I just checked this band out on YouTube. I definitely didn’t hear grunge. They sound like most bands at VooDoo and DL Fest. With some 80s thrown in but not full on Coachella.